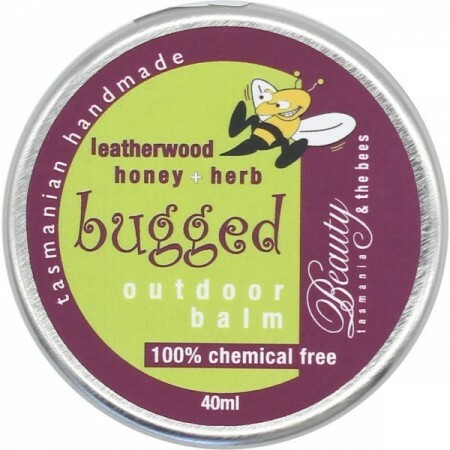 Richly lemon-scented, 100% chemical-free outdoor balm to discourage biting insects. By Beauty & the Bees. 40ml tin. 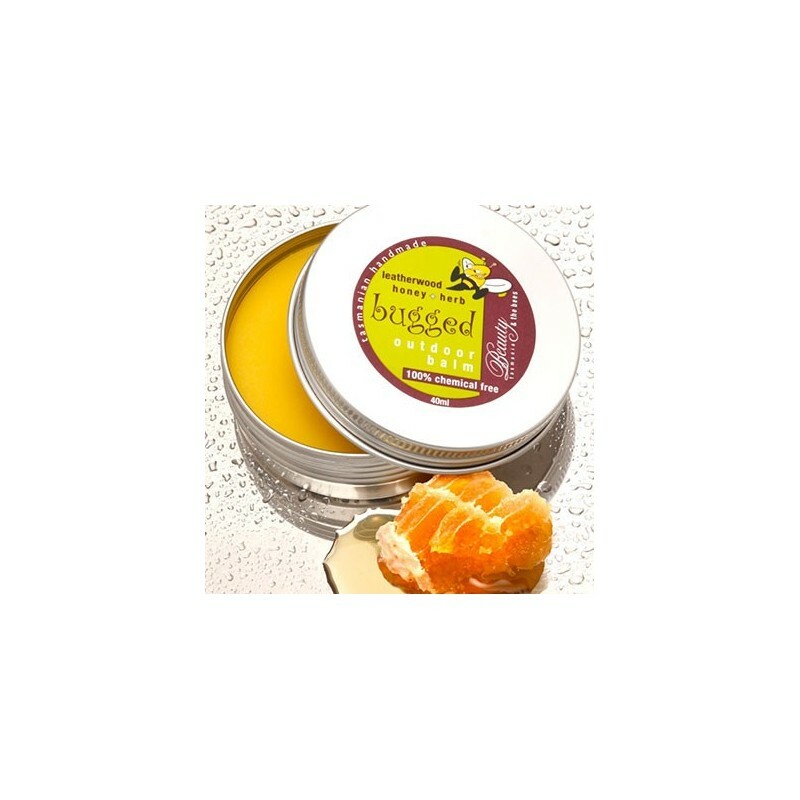 A richly lemon-scented balm composed of carefully chosen and blended oils by Beauty & the Bees. Ingredients: : Tasmanian leatherwood honey & beeswax, coconut oil, extra virgin olive oil, sunflower oil, sesame oil, raw wheatgerm oil, carrot oil, cocoa butter, soy wax, siam benzoin resin, essential oils. There is no harsh citronella in Bugged. Directions for use: Use it lavishly on that camping trip to discourage mosquitos and other bugs when they start to bite! 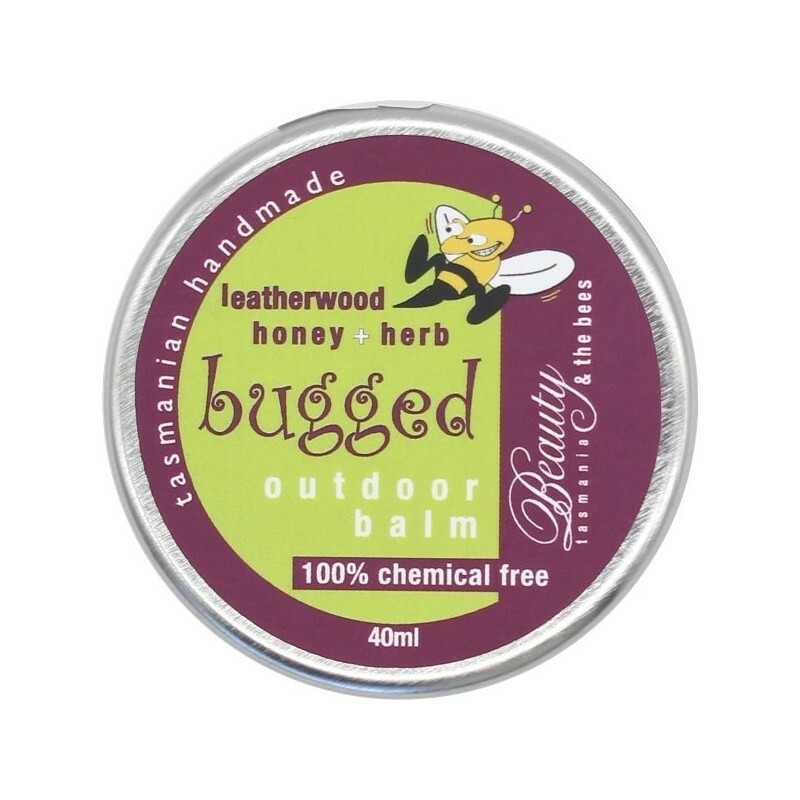 I’d rate this highly for the scent alone but this balm seems to be working it’s magic for my daughter who’s always getting bitten by mosquitoes. Will purchase again. Keeps the mosquitoes away but the sandflies are not always deterred by it. Skin feels nice and conditioned after application which is a lovely bonus. If you are heading to an area where sandlfies are problematic maybe take a back up. Where have you been all my life? I am every biting insects' meal; payment, welts of different severity and size. This year March flies have inflected nasty long term reminders, until your product arrived yesterday, I had found no relief. Have not tried is as a repellent but as a top itch, just magic. Thank you Tasmania.